about the hair and beauty services we offer. 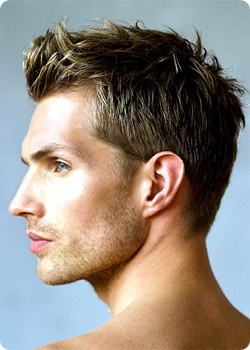 Into Hair are aware how important it is for men to feel that they have as many options as women when it comes to grooming. Our creative team have competed in the regional finals of the 'Men's Image award' for the L'Oreal Colour Trophy, and as a salon Into Hair have a clear understanding of men’s hair and grooming. We live in a time, thanks to the likes of David Beckham, where men have more choices and they are more likely to want to experiment with their image. We can offer you a wide range of hair services, from a simple crop or to a style that makes more of a statement. We are here to give you what you want. Click here to contact the salon - we'd love to discuss your requirements with you.